While TGS 2015 has come and gone this year without too much in the way of fanfare, there was one little piece of video that caught our eye. Specifically, this little clip that shows off some of the "Swords of Sanghelios" mission from Halo 5: Guardians. I won't mention too much of what is shown/discussed in the video story-wise to avoid spoiler territory, for those that may be interested in such things, but I will say the game is looking pretty good. Some cools mechanics, like issuing your AI teammates orders to take down specific targets or cover certain areas, are highlighted in the footage. 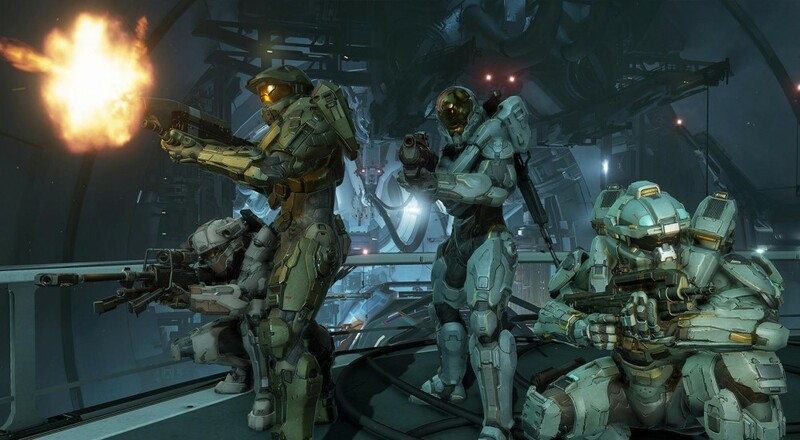 Halo 5: Guardians​ arrives October 27, 2015 on the Xbox One.